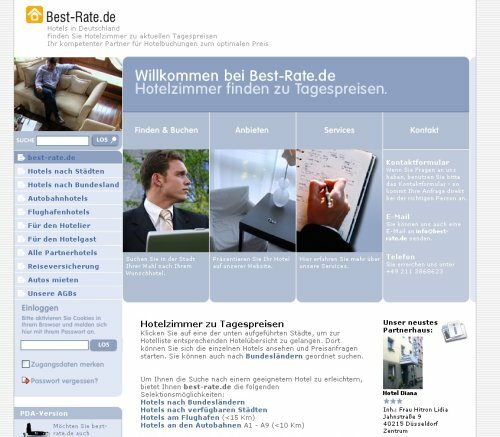 www.best-rate.de is a portal for hotel owners. Registered users can enter their hotel into the database and will then be featured on search engine optimized pages that will lead to a high ranking. User are also able to edit all the data (and images) online.